Avalon II will be available this February at GoWild Casino! 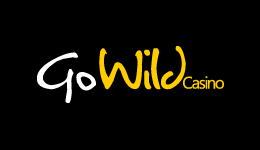 GoWild Casino is ready to launch the sequal of one of the biggest online video slot classics aroung. This brand new Avalon II will be breath-taking! Get ready for a legendary battle between good and evil when the brand new AVALON II video slot hits GoWild Casino! From February, you can enjoy sketched landscapes, beautifully rendered characters and stunning 3D animations just as in Avalon I. The Grail Bonus consisting of an epic eight-step quest, it is simply thrilling and you will not be dissapointed. February also welcomes two fantastic additions to their mobile games portfolio, i.e. Starlight Kiss and The Twisted Circus. Adding to GoWild Casino's romantically themed games, Starlight Kiss will provide you with a wonderful Valentine treat. The Twisted Circus will take you in the world of snake charmers, musical monkeys and the infamous Bearded Lady. The launch of Starlight Kiss is timed great with Valentine`s Day is only two weeks away! Are you ready for it? Other Valentine's themed slots are “Immortal Romance”, “Secret Admirer”, “Burning desire”, “Lady in Red” and “Doctor Love”. Two new deposit methods are also now at GoWild Casino. EUTELLER and TRUSTLY (formerly known as GluePay) can now be used by players from Finland and Sweden, and both methods are safe and easy to use.